For the past several years, the theme of Calling has been very dear to me. I have increasingly come to see that it is a crucial truth for escaping the humdrum of modern life. As such, I am always on the lookout for books which help to clarify what it’s all about and provide much-needed guidance to all who are seeking to uncover the mystery. And, lately, I read Os Guinness’s masterpiece on the subject. It is at once thorough and lively, learned and interesting, with a continual focus on the Saviour who obediently surrendered to his Father’s call. His book is a delight to read and a feast to relish. I can do little more than offer his points on calling which he carefully develops throughout the book and hope they stimulate you to get the book for yourself and devour its nutrients. When something more than human seeking is needed if seeking is to be satisfied, then calling means that seekers themselves are sought. identity and an understanding of humanness itself. Our primary calling as followers of Christ is by him, to him, and for him. Our secondary calling, considering who God is as sovereign, is that everyone, everywhere, and in everything should think, speak, live, and act entirely for him. God normally calls us along the line of our giftedness, but the purpose of giftedness is stewardship and service, not selfishness. A life lived listening to the decisive call of God is a life lived before one audience that trumps all others – the Audience of One. God’s calling is the key to igniting a passion for the deepest growth and highest heroism in life. 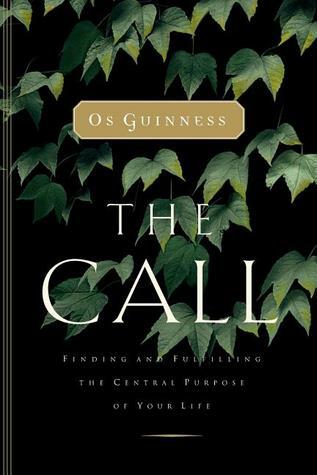 The notion of calling is vital to the modern search for a basis for moral responsibility and to an understanding of ethics itself. The call of Jesus is personal but not purely individual; Jesus summons his followers not only to an individual calling but also to a corporate calling. Calling reminds Christians ceaselessly that, far from having arrived, a Christian is someone who in this life is always on the road as “a follower of Christ” and a follower of “the Way”. The reverse side of calling is the temptation of conceit. The truth of calling touches closely on the link between giftedness and desire and the almost inescapable temptation of envy. Calling, which played a key role in the rise of modern capitalism, is one of the few truths capable of guiding and restraining it now. Calling is the best antidote to the deadly sin of sloth. Calling directly counters the great modern pressure towards secularization because the call of Jesus includes a summons to the exercise of the spiritual disciplines and the experience of supernatural realities. Calling directly counters the great modern pressure toward privatization because of its insistence that Jesus Christ is Lord of every sphere of life. Previous Post What is the Bible – really?